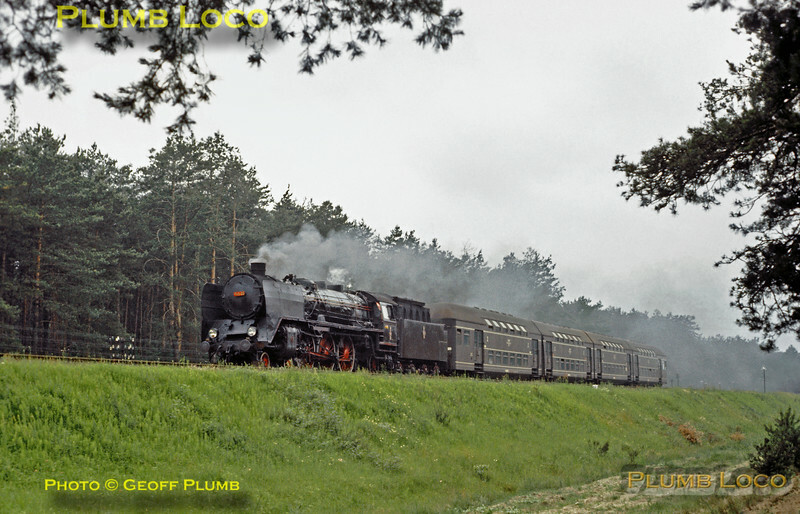 PKP Polish State Railways 4-6-2 No. Pm2-28 (ex-DR 03 Class) drifts along at the head of a train of four articulated double-deck coaches working from Toruń to Łódź. The engine is virtually in original condition with large smoke deflectors and is nice and clean. I'm not certain of the exact location, but just north of Otłoczyn station, I think! Tuesday 2nd July 1974. Slide No. 13026.